Summary: Rumi Seto spends a lot of time worrying she doesn’t have the answers to everything. What to eat, where to go, whom to love. But there is one thing she is absolutely sure of—she wants to spend the rest of her life writing music with her younger sister, Lea. Then Lea dies in a car accident, and her mother sends her away to live with her aunt in Hawaii while she deals with her own grief. Now thousands of miles from home, Rumi struggles to navigate the loss of her sister, being abandoned by her mother, and the absence of music in her life. With the help of the “boys next door”—a teenage surfer named Kai, who smiles too much and doesn’t take anything seriously, and an eighty-year-old named George Watanabe, who succumbed to his own grief years ago—Rumi attempts to find her way back to her music, to write the song she and Lea never had the chance to finish. 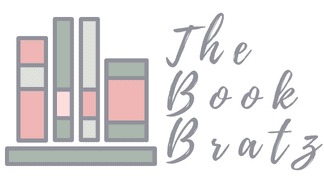 Today on the blog we have a guest review from Taylor over at Stay on the Page! 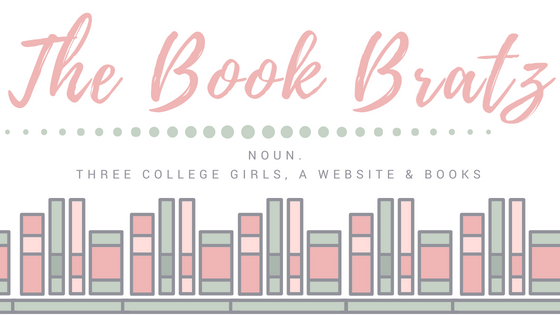 She was kind enough to stop by and review her advanced copy of Summer Bird Blue and share her thoughts on it, and we couldn't be more excited to have her here as our guest reviewer for today! So without further ado, let's get into it! Some books surprise me with their goodness. Other books I go into knowing they are going to be an instant favorite of mine. Akemi Dawn Bowman’s sophomore novel Summer Bird Blue is one of the latter. As soon as I knew that Akemi was writing a book with #ownvoices asexual representation, I was totally on board. Then I saw the beautiful cover and needed this book with every fiber of my being. After reading this gorgeous book, out September 11, I fell completely in love. Summer Bird Blue is about Rumi Seto, who goes to live with her aunt in Hawaii, in order to give her mom the space and time she needs to process the death of Rumi’s younger sister, Lea, from a car accident Rumi and her mom survived. Consumed by grief, Rumi struggles to function after the loss of her sister, unable to write and play the music that once played a central role in her life. With the help of her aunt’s unrelenting love and support and the help of the cute surfer boy next door, Kai, and the mysterious elderly neighbor, Mr. Watanabe, Rumi starts to find her way back to the music, and in the process, her way back to herself. If you’re looking for a beautifully written, poignant, inspiring book about the destructive nature of grief, the bond between siblings, the power of music and a girl’s ongoing search for the words to describe her identity, this book is for you. This book is an emotional wave from the first page. I let this book break me and put me back together again, and it was worth the journey. No one writes about struggling with identity and family in quite the way Akemi does. Her debut novel Starfish is one of my all-time favorites, a book that I will remember long after I finish reading it, and Summer Bird Blue is no different. Above all else, what made this book special to me was the inclusion of Rumi’s questioning aromantic asexual representation. Rumi struggles to define herself and figure out a label that she feels comfortable with, and she discusses that process at length in the book. These scenes felt so fresh, so validating, so important, to know that you can know all the terms and be questioning where you fit amongst all the words and labels and still be valid. 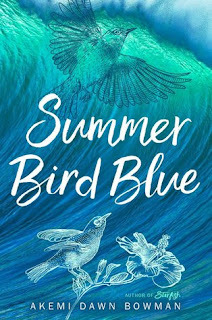 If you’re looking for a YA book that deals with aspects of aro and ace identity in fresh, brave and innovative ways, you need to read Summer Bird Blue. I also loved Rumi’s character. Rumi deals with unrelenting anger, grief and guilt after the loss of her sister. I related so much to Rumi’s worries that she inherited traits from her absent father and the experience that she had living in a single parent home with her mother. I never knew that I needed to feel seen on the page in that way and that was just another way that this book was special to me. I also loved the inclusion of music, and the power that music can have, in the book, which is a niche interest of mine. If it’s one of yours too, you are going to love this book because it hits all the right notes. From Rumi’s guilt to her sadness to her anger to her struggle to find a sense of belonging in her family and the world, the full force of Rumi’s emotions are present on the page. It was refreshing and validating as well to see those feelings present so viscerally on the page and written with so much craft and compassion. This book is an emotional punch to the gut and I loved every second of it. If you love emotionally intense and rich books, this book needs to be on your TBR and radar right now. All of the elements of this book come together. The gorgeous, atmospheric setting of Hawaii is perfect. Told in the present with non-linear flashbacks that are important memories for Rumi that piece together the backstory of her and her sister, the book is well-paced and one of the first books in a long time that I started reading and couldn’t physically put down because I loved reading it so, so, so much. So overall, this book was just...wow. I had such high expectations for this book and it did not disappoint. This is a book that I am going to remember (and recommend) for a long time. I hope it becomes one of your favorites too. 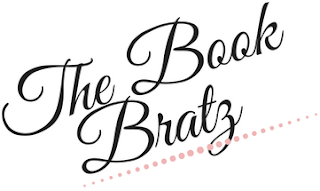 We'd like to once again thank Taylor for stopping by The Book Bratz today to post this guest review. You can read the original review over on her blog!